We believe in exploring new perspectives. Looking at things differently. Turning structure upside down, back to front and sideways. Excited by what we might find. So we think big. And act bigger. Stay versatile and interconnected. Approach everything with an inventive spirit and rigorous mindset. Individually we’re great. But as a team we’re unstoppable. Together, we seek out opportunities, frame problems and solve complex challenges. Our collective brilliance exposes breakthroughs. Our capability unleashes creativity. We pursue a new perspective. And deliver a new kind of ROI. Driven by detail - We’re obsessed with every detail. The insight we gather helps us solve complex challenges and transform our clients’ businesses. It’s our job to know the detail so we can make our clients’ lives better. The inventive spirit - This spirit is what sets our people apart from others in the industry. Our desire to find, create and develop new approaches and platforms to transform our clients’ businesses is where the magic happens. Never give up - We’re our clients’ partners. So their goals become our goals. We do everything we can to not just meet those goals, but surpass them. Positive - We look for opportunities and celebrate solutions – we’re the type of people that make things happen. Straight Talking - We put growth first and focus on the end result. This means keeping it simple and being confident in our insight. In it together - We’re natural collaborators. We seamlessly work together – with our own brilliant specialists and with our external partners – to deliver better results for our clients. 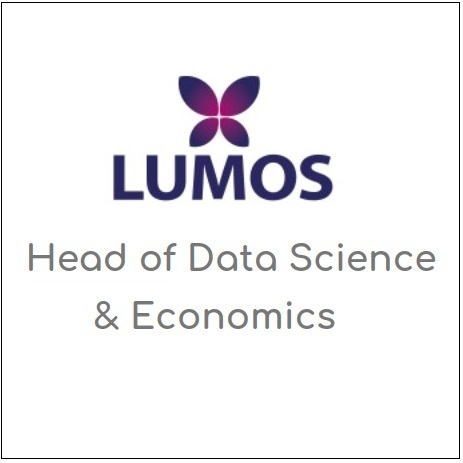 The Senior Consultant / Analyst will be responsible for delivering best-in-class analytics and providing data driven insights to help our clients make commercial decisions. This will be achieved through data collection, data management / processing, advanced analytics and model building to an agreed set of objectives within a time frame that meets their business needs. The Consultant will have the confidence and knowledge to interpret the model results to both, create commercially viable recommendations but also be able to explain the technical details should the client require them. The findings and recommendations will need to be presented back to the client in a clear, concise and engaging manner. Building upon this relationship will allow the consultant to scope out new projects that could be deemed valuable to the client leading to a deeper understanding of their business. Producing short case studies for meetings and writing proposals will help facilitate this. The team is comprised of people with various levels of experience in terms of techniques and industries / clients covered. Sharing knowledge, methodologies and new developments with team mates is highly encouraged to ensure everyone is gaining new skills and enhancing their experience. Hands on experience of modelling software e.g. Eviews, R etc.